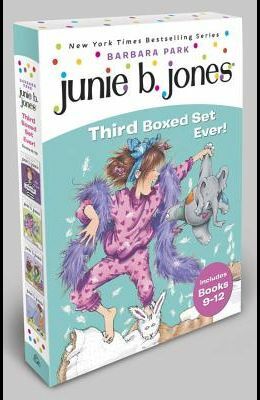 This third boxed set contains digest editions of books 9-12. Includes Junie B. Jones Is Not a Crook, Junie B. Jones Is a Party Animal, Junie B. Jones Is a Beauty Shop Guy, and Junie B. Jones Smells Something Fishy. Illustrations. per book. Pkg.